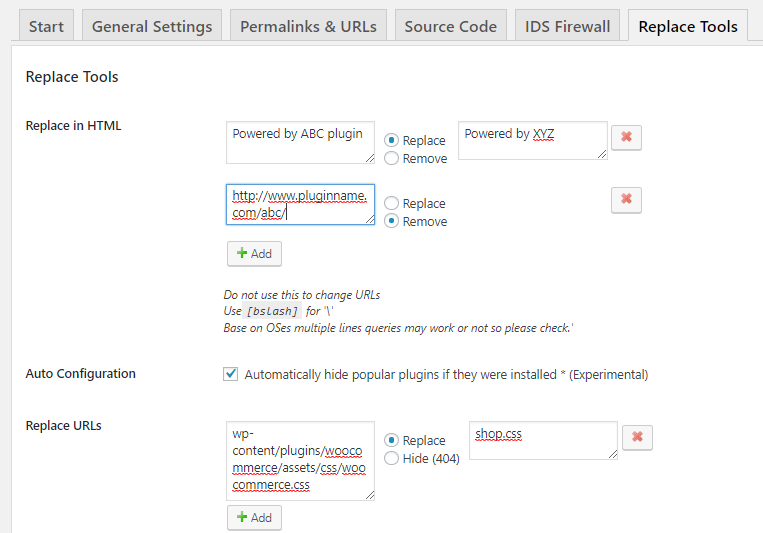 Use this to replace or remove text/comments added by theme and plugins in the site’s page source. Please check the above screenshot to see the examples. Note: Do not use this to change URLs. Enabling this option will automatically hide popular plugins if they are installed. This option is still in experimental state.